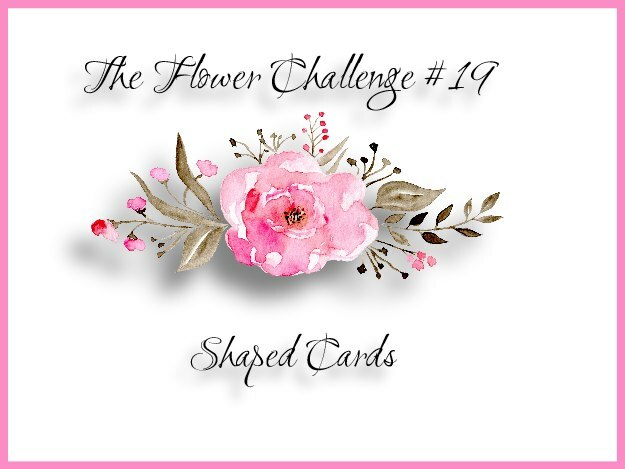 You still have time to play along with The Flower Challenge. The Design Team has more inspiration for you over on the blog with their shaped cards. The flower is from Altenew stamped in new inks. The card base was cut with a curved die and I cut another piece the same and embossed it to look like a milk glass vase. The little tag and sentiment are from My Craft Spot (closed). I hope to see your card in the gallery. That flower is absolutely gorgeous...wowza what a fabulous card! such an amazing card mf...love it!! Beautiful card and I love the flower. So pretty with the vase. Wow! This is GORGEOUS! Love that flower and the vase! Wow!